Women are so much obsessed with their body curves and compression, so they always seek for the new and effective ways that shrink and tighten the women belly. Belly Bandit is designed with breathable clothes usually thick and with an elastic material. These bandits act as mother Tucker corset and guarantee the women to drop the fat from the waist, hips, and belly. These belly bandits must hold tighten around your mid-section to enjoy you the finest outcome. Belly Bandits let you have your pre-pregnancy shape back with no pain and hard work. You can use these belly bandits as a post pregnancy tool. Plus, you should not use them during the pregnancy. The bandit also provides back any belly support for more comfortable experience to the mummy. British women started the trend of wearing belly bandit. Moreover, these bandits are safer to use and not cause any urinary leakage. 1. When Should I Start Wearing My Belly Bandit? Belly Bandit is a safe tool. It can be worn right after the delivery of your child as physicians, nurses, and physiotherapist recommends it. It will not cause any negative impact to you neither to your baby’s health. You wear these belly beneath your clothes no one can see and feel them, and only those will know whom you want to know your secret. Your body gets swelled as your uterus is empty. 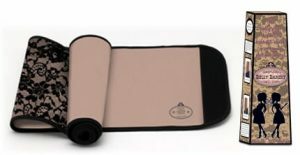 The belly bandit reduces that swelling, mitigates the stubborn fat up to certain inches, and provide you with best back support. 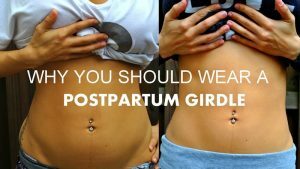 These belly wraps should be tightened around your tummy but never be that tight, so you start feeling irregular breathing, and your body muscles will start getting weaker. In early days with this bandit try to have a loose fitting and then make proper seasoning with these wraps to enjoy the maximum benefits. 2. How Soon Can I Wear It After Giving Birth? The best way is to use these girdles after a day or maximum after forty-eight hours of your child’s delivery. In both cases, if you have undergone with vaginal delivery or C-section it is equally safer and benefited in both cases. These are secured post pregnancy tool it will help a woman to reduce its uterus swelling, bloating which is caused by the water observance and also provides relief against legs or back pain. You should consider it as your support and valuable friend that will make your dream come true of attaining your ideal body shape back on track without any pain and hurdle. Delivery can hinder the body image of a human and hence it is necessary for women to get in shape right after it. Bamboo belly bandit always mesmerizes its users with its features. It is best for women who have given birth via C-section. 3. How Long Do I Need to Wear Belly Bandit to See Results? For better results, you can wear it for 6-8 weeks for all day and night. Don’t take it off as often. Only remove it when you take a shower. After taking a shower just simply put it back so you can enjoy more satisfying outcomes. If you feel discomfort while wearing the Belly Bandit, then you can pull it downwards a bit lower from your hips, and after sitting, you take it back to its original position. The period may also vary with the body type, body flexibility, genetics, and your diet routines. Some woman may reduce weight and attain their body shape before the prescribed time, while some may have to wait due to their stubborn fat that rebuilds again and again. These belly bandit never cause any problematic situation for most of its users, but if it happens in your case. However, it is still more preferable to consult your doctor before wearing it. In the case of any big problem, you should consult your doctor immediately. He may guide you to the better type of the post-partum girdle. 4. Can I Wear Belly Bandit If I Just Have a Big Tummy? The manufacturer has designed them as post pregnancy girdles for the new mummies; it still can be used for others. As using the belly bandit will help you to attain a well-toned body shape. It helps you to attain a better body posture. The belly bandits are invisible, and you usually wear them beneath your clothes, in this case, it provides you more proper fitting while wearing your favorite outfits in either special parties or casual occasions. The product can act as a great waist trainer. If you are not pregnant and not a have a child but want to lose waist, it can act as an amazing waist trainer. However, never forget it can never take place for the proper diet plan and supplementary exercises. You can use the belly bandit with proper diet plan and exercises and be committed and focused on your aim, and you will surely see the results. 5. When Is the Best Time to Buy Belly Bandit? The right time and right choice with proper features of a belly bandit are often a confusing question a person encounters while planning for the post pregnancy items. You need to make sure before buying whether you will undergo a natural childbirth or C-section. Bamboo styles are more comfortable for the C-section. You can buy these items after thorough research of the best belly bandit and analyze the best features that will suit you the mostThe bandit is effective keeping in mind your weight, genetics, and body structure. 6. Can I Still Use Belly Bandit If I Had My Baby over a Year Ago? Yes, you certainly can use these bandits. The belly bandits will never harm you whether you use it right after your pregnancy or use it after some while however, the great results can only be achieved with the belly bandit when you use it after 24-48 hours of your pregnancy. Though if you got a bit late, then it still won’t impart any negative sign to you. You surely can use it whenever you feel more comfortable towards these post pregnancy equipment. However, if you have gained an exceptional wait, then you should also go for the mother Tucker corset. Hence, this is more effective in reducing the fats and enabling any frustrated women to have its dreamy and ideal pre-pregnancy size back. 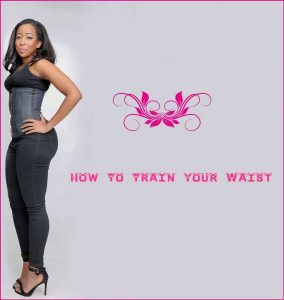 It is surely something very amazing for a woman to have an even smaller waist with sexier and curvy shape of your body. Moreover, the best way you can achieve all this neither without any hard effort nor with any discomfort or pain. 7. What Are Some Other Uses for a Belly Bandit? Belly Bandits are extremely helpful to provide you best support. This support may decrease the back and legs pain and provide you with the ultimate relief. It helps you in attaining toned body shape and with better posture. If you are not pregnant, it still helps you to engage your core muscles and acts as the best trainer. It is extremely beneficial if you have undergone any surgery. Like back surgery, stomach surgery, bypass, etc. these are comfortable tight costumes and never create any hurdle or pain when a person wears it after any major or minor operations with right precautions. The belly bandits are also great for deistic. 8. Is It Normal That My Belly Bandit Has Creases When Using? A little damage or crease in the belly bandit is not something unusual. When you wear, it may cause you some folds or bends this is the reason of those creases. Creasing would never cause any negative impact on the tensile strength, or the functionality of the belly bandit. If you feel it be messy, then you can wash it with your hands. The creasing may happen due to the proper and continual use of the belly bandit. Please do not stop using it after the creasing. In fact, keep on using with same passion and determination. The appearance may differ, but it won’t affect its functionality as they have designed with greater mobility and you can stretch the material. In short changing, a minor appearance in the belly bandit will never create any hinder in its efficiency or effectiveness of a belly bandit or a postpartum girdle. The belly bandits, trending belly wraps or post pregnancy items are selling like hot cakes in the market. These belly bandits will provide a woman the figure she always dreamt of having. Women are highly obsessed with their proper body shape. They cannot spend a day with their fat and swelled body. These belly bandits are worn tightly against your midsection and provide you sexier and curvier body within 6 to 8 weeks after proper usage. Manufacturers have made belly bandits as a post pregnancy item, and you should not use these during pregnancy. These belly wraps should be worn right after the delivery of your child as these are safer and never impart any negativity in the mom’s health. It is also helpful for the others who are genetically fat or forgot wearing it after giving birth to the child a while ago. The belly bandit is an amazing waist trainer, but nothing can be more beneficial than the proper exercises and healthy diet plan for weight loss.